Zinzendorf als Lehrer der, by Johann Valentin Haidt, circa 1747. In the mid 1700s, Count Nicholas von Zinzendorf of Saxony rejuvenated the Moravian Church and sent out "Sea Congregations" to the West Indies, South America, South Africa, and North America. Moravians were the most active Protestant missionaries of the eighteenth century. 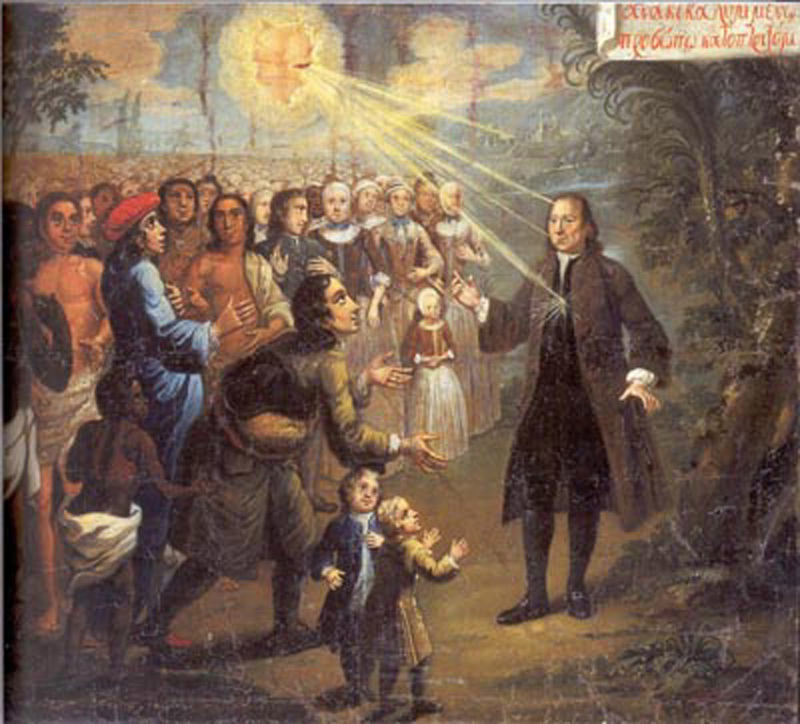 In this 1747 painting, Johann Valentine Haidt portrayed Zinzendorf receiving the light of God. To the left, Native Americans are among those benefiting from his preaching of the gospel.